Want to know what it takes to become a journalist? 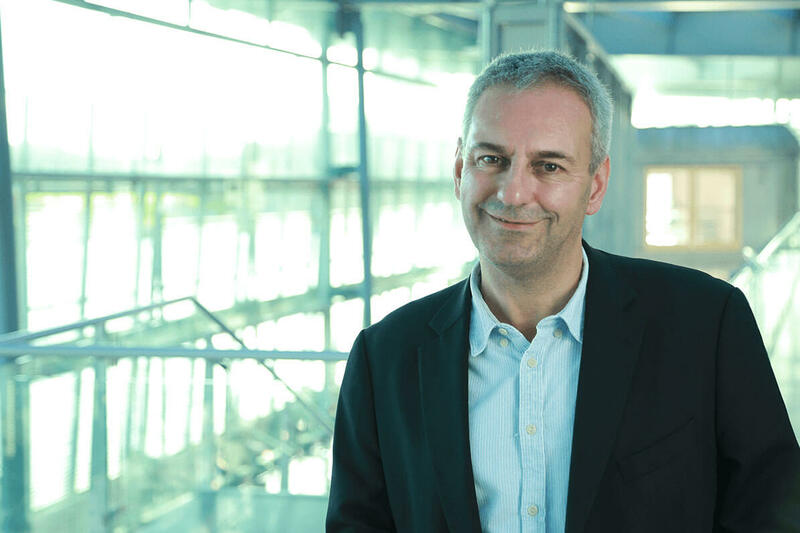 We asked British political journalist and Associate Editor at the Daily Mirror, Kevin Maguire, to share his expert insight into what it takes to make it in the journalism industry. Kevin has had a career in journalism for almost 30 years, working for some of the biggest names in British press such as The Guardian and The Telegraph, and he regularly contributes to Sky News and the BBC. As Visiting Professor of Journalism at the University of Sunderland, he often gives lectures and masterclasses to our journalism students, here's what he had to say on a recent visit to the University. What are the top five qualities of a good journalist? What does the University of Sunderland offer to its journalism students? Work in the mediaHUB, our bustling multi-media newsroom. Create content for our award-winning digital platforms: Fashion North, SR News, SportsByte, Northern Lights and Spark FM our community radio and magazine. All of the Journalism courses at Sunderland are NCTJ accredited. What would you say to any students pursuing the qualification? “I passed my NCTJ. It’s great – it shows you can do all the basics, you know your law, you’ve got your shorthand, you can spot a story, and you can produce a story. I use my shorthand every day, absolutely every day. "I use it at work, I now use it in general life – I can’t believe some people say that they’re journalists and they don’t have shorthand. If you go around with your tape recorder it takes a long time to transcribe. Get your shorthand and you can take a note very quickly - shorthand’s essential." How important is Media Law post-Leveson inquiry? As an employer, what are you looking for in a journalist? And is a CV enough? “Your CV has to show you’re committed to journalism. It’s no good saying you have a passion for journalism, if you’ve not done any journalism. When you’re doing the course you want things published online, in print, on TV and video – wherever you can. You’ve got to show your commitment, not just say you’re committed. You want people to be bright, keen and to be working hard to be a journalist. What is the positive for you by coming to the University of Sunderland and speaking to journalism students? “You know the buzz is when you see people who are interested and who want to be a journalist, and you might be helping them along. You hope down the line you will be meeting them and, you never know, I might be employing you. I got help from people and from experienced journalists when I was on my course and I benefitted from that. What interested you in the Visiting Professor position at the University? Being a Sanddancer (Kevin is originally from South Shields) do you have a personal connection to the North East? Getting into journalism can be challenging, but here at the University of Sunderland, we give you all the tools you need to make it as a great journalist. Here are just a few of the ways we equip you to make it in the industry. Journalism may have been regarded as a soft option a few years ago. This is no longer the case, according to award-winning Journalist and Broadcaster Alastair Stewart OBE. A revered media presence, here he shares his expert insight into the changing face of journalism and offers advice to aspiring journalists. With a journalism career spanning 25 years, Carole Watson is now Programme Leader in Fashion Journalism at the University of Sunderland. Here, she shares an insight into her distinguished career and talks about the opportunities Sunderland has to offer aspiring journalists. Life after graduation: Where can a degree in Journalism lead you? One University of Sunderland journalism graduate who decided to move into Public Relations is Amy Watson, Communications Manager at Sunderland Software City. Here, she shares her career insight into how transferable journalism is and offers advice to current students and graduates to achieve career success. Sports Journalism student Matt Riggs scored a full-time job with West Ham United before he even graduated from the University of Sunderland. Matt beat hundreds of other applicants to land the 12-month editorial internship at the Premier League club, writing for the Hammers’ various publications and producing content for their multi-media platforms, from match day programmes to Snapchat.